Hema Pokharna is the Director of Journeys of Life, a program to promote health, wholeness and disease prevention. It evolved from Dr. Pokharna's quest for inner peace and harmony in the western environment, to which she had emigrated from India for advanced Biochemistry studies in 1985. She believes that body, mind and soul are the integral elements of the human condition, and that spiritual health and wholeness should be an integral part in health promotion programming. The term spiritual health is being used here to mean the ability to live in the wholeness of life. The consequences of disconnectedness on physical and spiritual health can be devastating. However, people can learn skills in life that lead to connectedness at three levels, connecting with self, connecting with others, and connecting with a larger meaning or purpose. This program includes different ways to live, learn and share the principles of reverence and respect for life. Born and raised in India, she received much of her religious instruction from Jain monks and nuns who emphasized inner peace and self discipline. In United States, she received extensive training at the Gestalt Institute (Cleveland), the Center for Nonviolent Communication (San Diego), the Focusing Institute (New York), and training in Alternatives to Violence, Conflict Resolution and Mediation (Akron, Ohio). She has recently completed the Kellogg Executive Education program "The Soul of Leadership" offered by Dr. Deepak Chopra, who is one of the world's greatest leaders in the field of mind-body medicine. She is certified in "Appreciative Inquiry for Business and Positive Society Change" from Weatherhead Business School. Believing that the diverse religions of the world are all rooted in the same spiritual ground, Hema Pokharna is committed to the interfaith movement as a vehicle of reconciliation, not only between religions, but as a new way to work for peace. She serves as a member of the Board of Trustees of the Council for the Parliament of the World's Religions, nearly four of which she was in the executive board. She is a member of Jaina Interfaith committee of JAINA, vice chair on the board of Play for Peace and has served for 8 years on the board of Health and Happiness. For last two years she has been providing Nonviolent Communication training for 10 days by bringing 100 participants from 18 countries to India. Hema gives extended training sessions and lectures across the country and around the world. Her work provides powerful and practical training in connecting with self (meditation and focusing) and connecting with others (non-violent communication). She has been a keynote speaker, panel speaker and workshop leader at several national and international conferences on Jainism, Peace and Nonviolence, and Humanistic Psychology. She has been a keynote speaker, panel speaker and workshop leader at several national and international conferences on Jainism, Peace and Nonviolence, and Humanistic Psychology. Recently she was a plenary speaker at the conference on 21st Century Women in Religion held in New York by the Interchurch Center and was also a plenary speaker at a conference on Economics of Nonviolence held in New Delhi. She conducted a 2-day workshop on Nonviolent Communication at the Meadville Lombard School of Theology at University of Chicago. 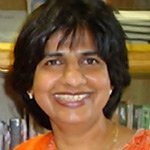 She has published in Science, humanistic and religious journals, and has been featured in newsletters and newspapers, and also interviewed on radio. She has recently received a grant for her training program for physicians called cultivating health, harmony and healing training at the University of Chicago.